I generally like Paul Krugman’s opinion pieces. I think he does a good job of explaining economic concepts in terms that the average reader can understand, and I like that his biases — because economics is a sufficiently squishy subject that your preexisting biases could lead you to diametrically opposite conclusions even when analyzing the same set of facts (at least, that is what does happen; maybe the problem is that not everyone is doing the math correctly, but it’s tenured economics professors with all their fancy awards who’re coming to opposite conclusions) — match my own closely enough that he usually comes to the same conclusions I would. And, sure, I’m never pleased by his recent articles about health care, since I am a huge fan of insurance and I’m sad that the Affordable Care Act basically outlawed insurance. (That might sound a bit weird, but I don’t think it’d take too many words to explain. Well, first, here’s why I like insurance: if you look at it as a transaction involving money, it’s a rip-off. The amount of money you get out in a disaster times the probability of disaster has to be less than the amount of money you put in, or else you’re dealing with a very bad insurance company that’s about to go out of business. But if you look at it as a transaction involving utility, insurance is great. The insurance company is relatively unaffected by your personal calamities, so the value of money for them is identical whether you get hurt or not, and so for the company, monetary gains are directly proportional to utility gains. Happiness gains. They take your money, so they’re happy. But for you, the value of a dollar when you’re healthy is lower than the value of a dollar when you’re sick. If you’re healthy, you could work and earn more dollars. If you’re sick, you can’t. So the low monetary pay-off the insurance company gives you actually sums up to a higher utility pay-off than what you paid. If you bought a good policy, that is. I hope you did! Otherwise, you’re squandering both your money and your happiness. But the problem, in my opinion, is that the ACA outlawed that type of insurance. A policy that would contribute nothing to your healthcare spending until you hit some enormous deductible, $6000 in my case, after which it would pay all your health costs. So with routine maladies, it would do nothing. I had a policy like that for three years, I believe, and so I threw away three years’ premiums and got nothing in return… except the sanctity of knowing that I’d get some high utility dollars back if I ever became too sick to type this sort of essay. I guess my own case is a touch bizarre since my income has been zero for several years, just draining the savings I built up by eating bread and lentils on my grad school stipend, but once that money runs out I could get a job. As long as I’m healthy, that is. But, right, that sort of policy was outlawed; basically, even though the policies are still called “insurance,” that’s not the correct word. Everyone is now required to buy a health care plan, where you’re pre-paying for certain minimum standard of care in addition to having insurance. And that’s fine, if you think everyone should receive that minimum standard of care, except the idea of having a private company provide it is bizarre. Just decide what the bare minimum you want schmucks to have is, tax everyone enough that you can pay for that for everyone, and then anyone who doesn’t want to get their medical care in those bare minimum conditions, or who wants to be healthier than the bare minimum care would make them, can buy their own care, or insurance policies to provide it, above and beyond the government provided allotment. “You can see that misunderstanding at work every time someone rails against deficits with slogans like ‘Stop stealing from our kids.’ It sounds right, if you don’t think about it: Families who run up debts make themselves poorer, so isn’t that true when we look at overall national debt? And that’s the point of contention with Krugman’s article. Deficits aren’t stealing from America or Americans if you average the amount of wealth everyone has… but they are stealing from Americans if you analyze the situation person by person. The easiest way to see this is simply to imagine that you have progressive taxation, so the wealthier you are the higher your percentage tax burden will be, and costs of living as well as you feel you ought to that rise more shallowly than total wealth, so that the wealthier you are the higher your percentage of investment will be. Both reasonable assumptions in the United States, even though our tax burdens aren’t very progressive at the moment. But let’s pretend, shall we? Then, if you want to have a government service — say a police force to make sure that the impoverished hordes don’t kill the wealthy and take all their money — you can pay for it in one of two ways. You can pay by taxing the populace, in which case the wealthier you are the more you’re paying for policing, or you can pay by running a deficit, in which case the wealthier you are the more you’re being paid to have police protect your wealth. The latter seems… not good, right? Because a deficit means the government is issuing bonds. Bonds pay interest. Poor people can’t buy bonds. Rich people can. Deficit spending is the government paying wealthy people for the privilege of using their money. Which is, taking money from the aggregate population, giving it to the rich members of the population, in order to provide services. Deficit spending is stealing from our kids, unless the “our” in question means the wealthy. I suppose it’s worth disclosing that I believe both my parents might be millionaires. So maybe it seems like I would fall into that wealthy people’s “our” category. But I personally am not monetarily rich — K. and I support our family plus some on a public high school teacher’s salary (hers), and my, uh… I cook well, which cuts down on our food bills, and one time last winter I found a five dollar bill on the ground while I was out jogging — so I’m not sure which side of this divide I fall on. I’ve definitely enjoyed many perquisites of the wealthy: I studied as an undergraduate at a very fancy university and finished with only five thousand dollars of debt. Even among people fortunate enough to attend that sort of school, a lot of people graduate with huge amounts of debt, whereas I had so little (because my parents were willing and able to spend so much on me; thank you!) that I was able to zero it out using leftover money from my grad school living stipend. But that doesn’t change where I stand intellectually. 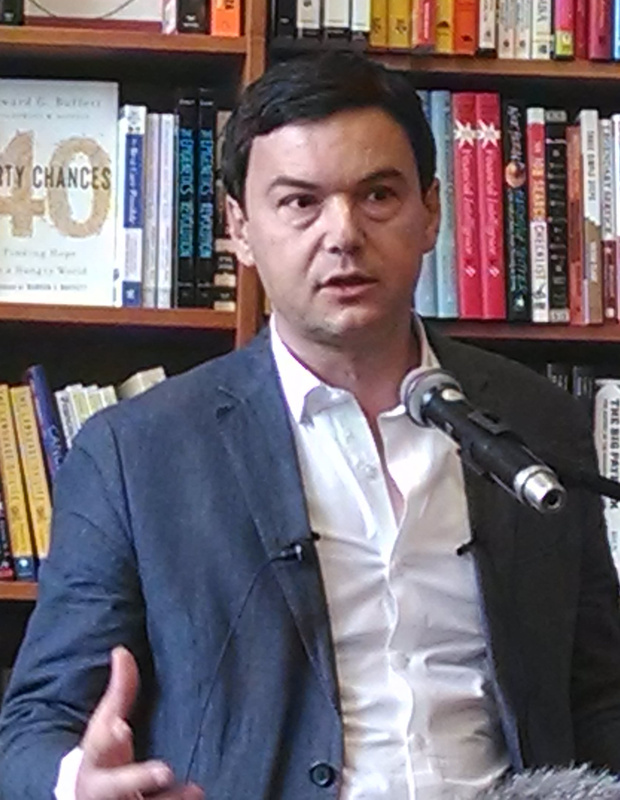 I definitely agree with Piketty’s call for a global tax on wealth, payable to whatever nation that wealth resides in. That’s the nation enforcing property rights to allow that wealth to remain privately owned, after all. More generally, I think that people should pay for governance to degrees that would reflect how much they would lose (or gain) if there were anarchy instead. For a lot of poor people, the fact that we have a government is a strict detriment to their lives. They’re harassed by police, they can’t pull a Walden Pond and build homes wherever they’d like, etc. So those people should pay negative taxes, to compensate them for the harm they’re subject to by consenting to remain governed. The wealthy, I feel, should pay high tax rates, because it seems unlikely they’d keep their fancy homes, or their whatever else, or even have had the opportunity to make all that money, if we had anarchy. So, right. 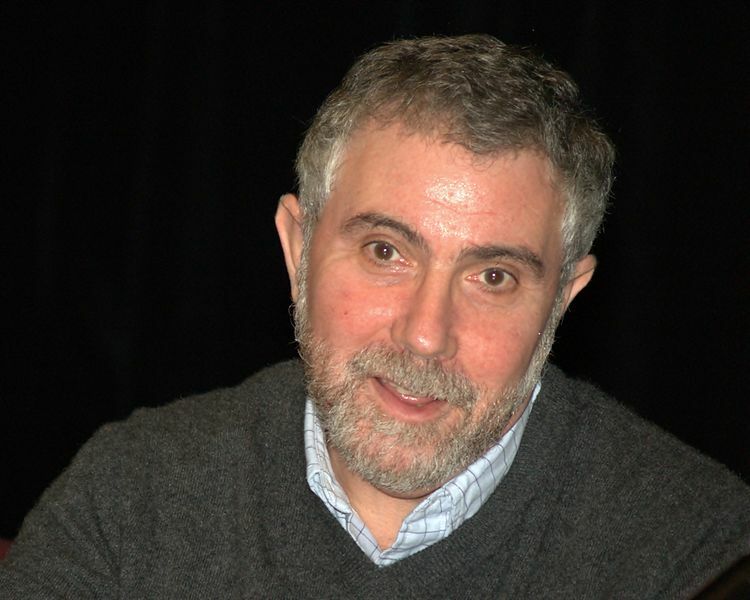 Deficit spending: yes, a better idea than austerity, as pointed out by Krugman’s article. But still bad. Still is stealing from our children. Raising taxes would be better than deficit spending. And I think those taxes ought to be progressive.